The top blue curve is after tuning by DPR. It's pretty nice and smooth. The bottom 2 lines are after tuning by Dynamic Autosports. 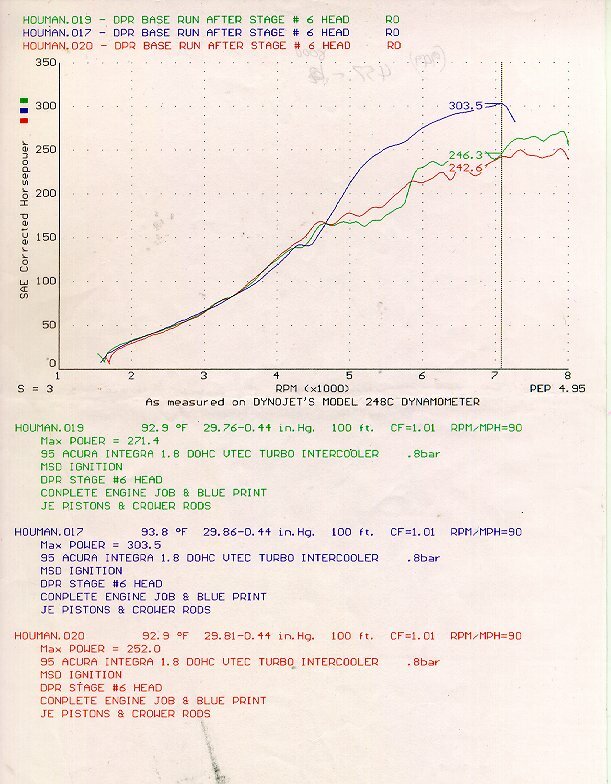 Even though Dynamic Autosports "improved" the fuel/ignition management with the PMS unit and installed a 3 inch mandrel bent downpipe (instead of a lame 2.25 inch downpipe), they lost ~60hp!!!! And the curve is so unsmooth!!! !